This weekend we celebrated Easter. I didn't grow up with Easter egg hunts or baskets full of treats, so as we continue to figure out what we would like it to look like in our family, we've adopted a few traditions. Do not fear, chocolate is involved. On Thursday, we celebrated Maundy Thursday which is the Thursday before Easter. I presented the idea of washing each other's feet to the kids and they were all very much on board. Just as Jesus washed the disciples feet showing love by serving, we did this for one another. We talked about what it meant and then we each chose a name randomly for whose feet we would wash. There was something so incredibly beautiful about seeing them wash each other's feet. I may have teared up when Gary and the kids all wanted to wash mine. I want to thank Sarah for the idea as I read about it on her blog. 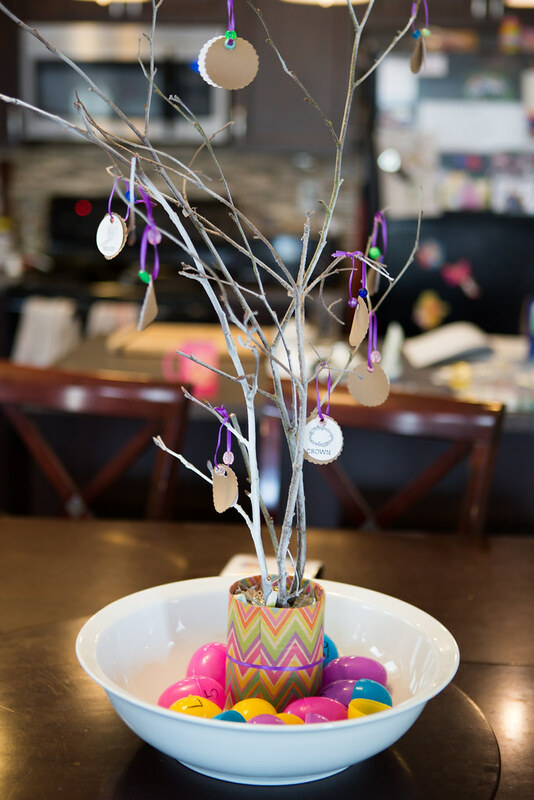 We started using this Easter Tree last year. It's a different take on Resurrection Eggs where the pictures can actually be displayed. There are 12 eggs and each day, one child gets to open an egg starting with number one. 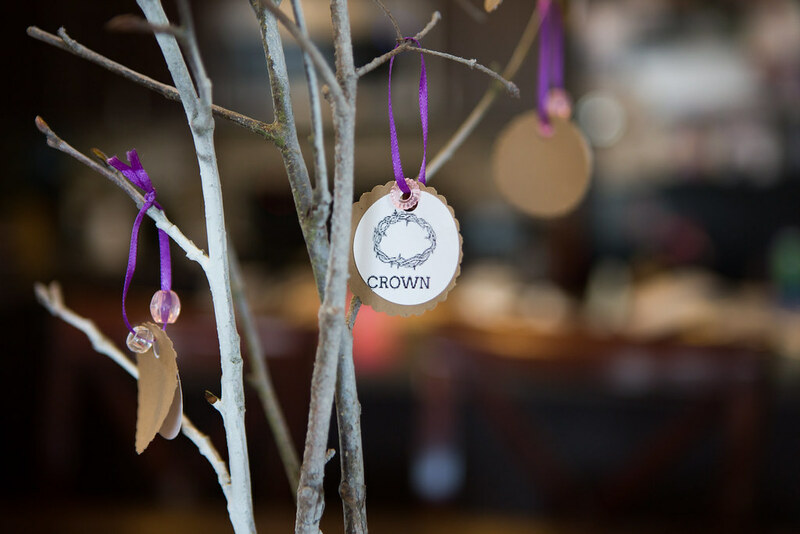 Each egg has an image that they place on the tree and then we read the part of the Easter story that corresponds to it. They really enjoy it and although Nya doesn't really get it, the boys sure do. I've pinned some samples of printables here on Pinterest if you would like to make it for next year. I must have a lot of Mennonite friends because around this time of year, my facebook feed is filled with pictures of Paska. 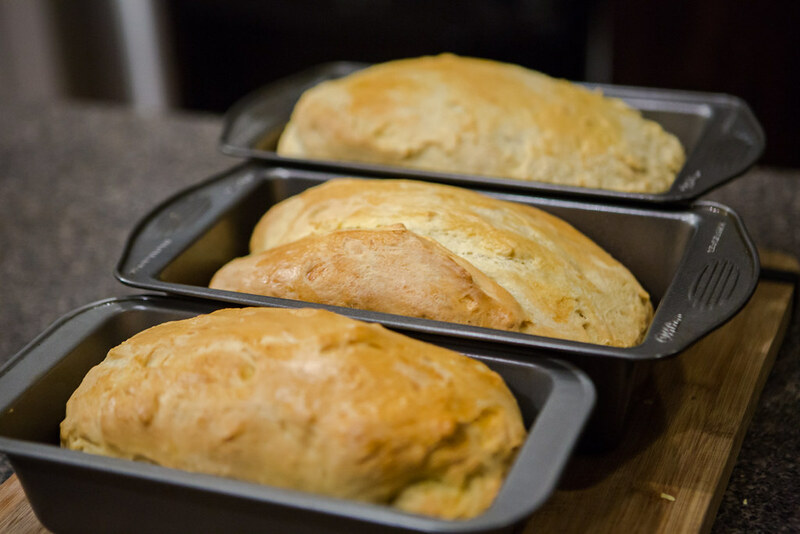 I tried it out this year and didn't realize that one recipe made 6 loaves of bread! We haven't been eating a lot of bread, especially white bread, so we have a lot left! I wasn't as fun as some people as I did not cover it in a sweet frosting. 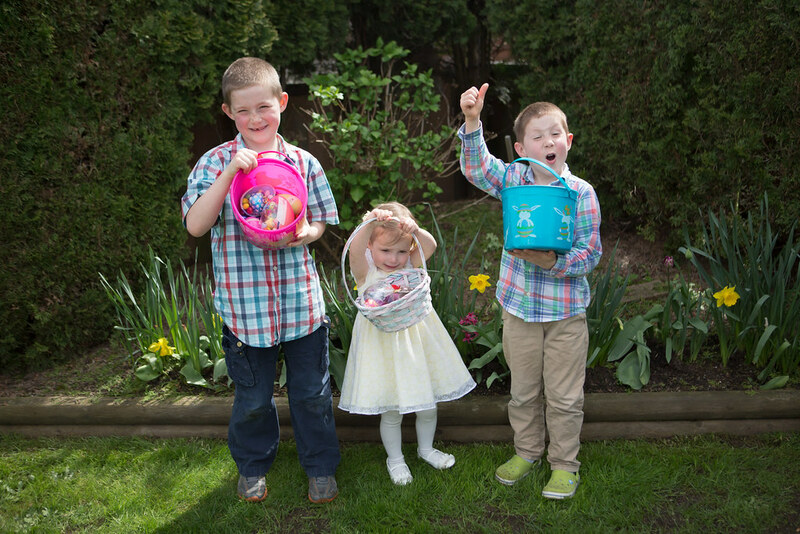 We had Easter dinner with both sides of the family and the kids had an Easter egg hunt with each family as well. This is as good as the picture was going to get with these three monkeys high on chocolate. I'm thinking Nya will be having a bit of dairy over the next few weeks, Gary might have to help her out. I hope you had a wonderful Easter weekend. Do you have any Easter traditions? 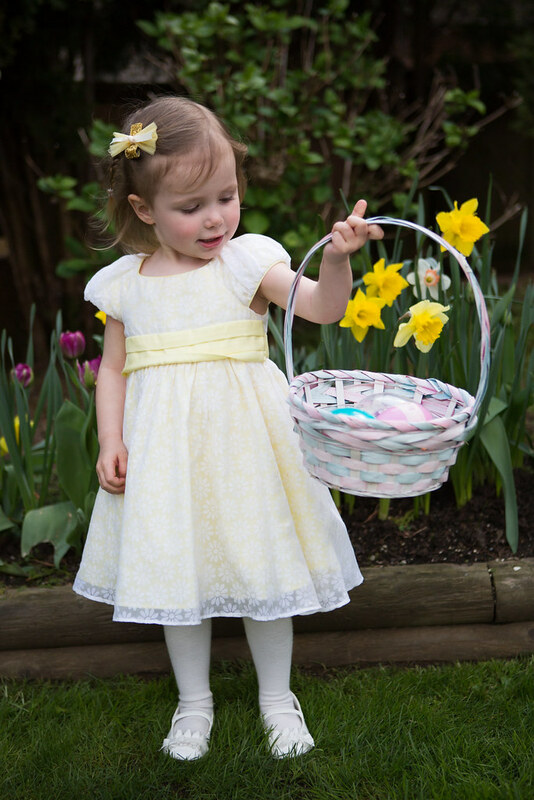 Cute picture of Nya in her Easter dress holding the basket of eggs - It almost looked like the daffodils, in the garden behind, were in the basket! Thank you Carol! You're right :) I also love how the daffodils match her dress! So proud of you for making Paska! It is a tradition that I do every year. I am not Mennonite, but sometimes I think I am (or should be!). And, yes, you need the frosting & sprinkles. I spread mine on top, but my aunt spreads it on each piece - which my kids are begging me to do for next time. Yeast baking is can be hard, but mine went perfect this year. Maybe I should start making bread! Thanks Jessica! I love tradition, we'll see if this one sticks. I guess I need to be fun and add all that sugar on top of it, my kids and husband would love it!